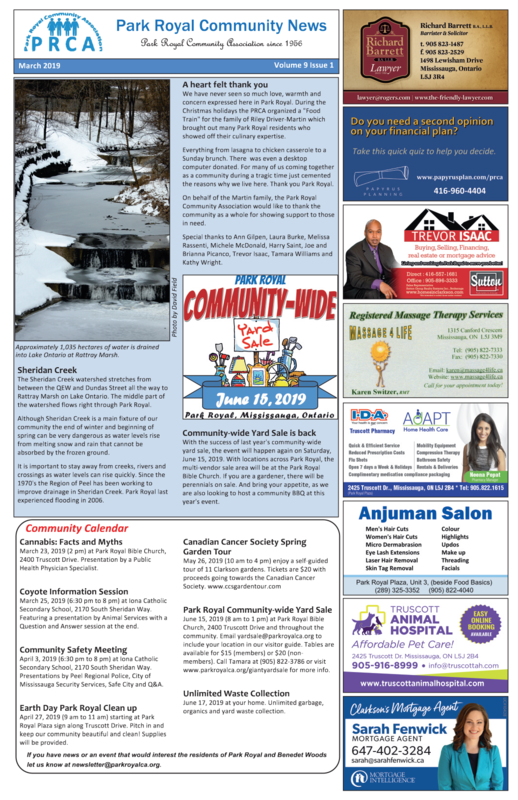 To provide community awareness and promote an engaged Park Royal neighbourhood that is empowered to shape its future. 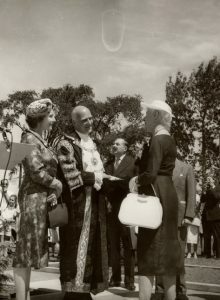 Official opening of the Park Royal subdivision by the Lord Mayor of London, Sir Dennis Truscott, with Lady Truscott and Reeve Mary Fix on August 9, 1958. Original photo at Museums of Mississauga. The Park Royal Community Association (PRCA) has been active since 1956. The Park Royal subdivision was built by United Lands Corporation. It was the first subdivision in Mississauga to hide hydro and phone lines underground and it was also the first with its own community centre. The inspiration for the name “Park Royal” came from the Park Royal in Greater London, United Kingdom. Appropriately, an invitation was sent out to the Lord Mayor of London, Sir Denis Truscott and the Lady Mayoress. The two arrived in 1958 to cut the ribbon at the unfinished development. Truscott Drive, one of the main roads through the neighbourhood was named after the Lord Mayor. The Park Royal Community extends north to the QEW, south to the Canadian National Railway tracks, east to Southdown Road, and west to Winston Churchill Boulevard. It is primarily a residential neighbourhood comprised mostly of single family homes and some apartment buildings. Park Royal Plaza is the main commercial area situated in the middle of the neighbourhood at Truscott Drive and Bodmin Road. There are several public and separate schools in the area, as well as a retirement home, day cares and a community centre.